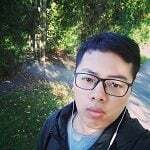 My name is Lai Cheng and I’m an international student from China studying Chemistry with Pharmaceutical & Biomedical Chemistry. I am interested in all things new, so I like to try new ways to live. For Christmas this year, I am very excited because this is my first Christmas abroad. To tell the truth, Christmas is not a traditional festival in China, so it is just like a shopping day for most of people. When I was a child, I wondered what Christmas was like abroad. This holiday, my wish has come true. 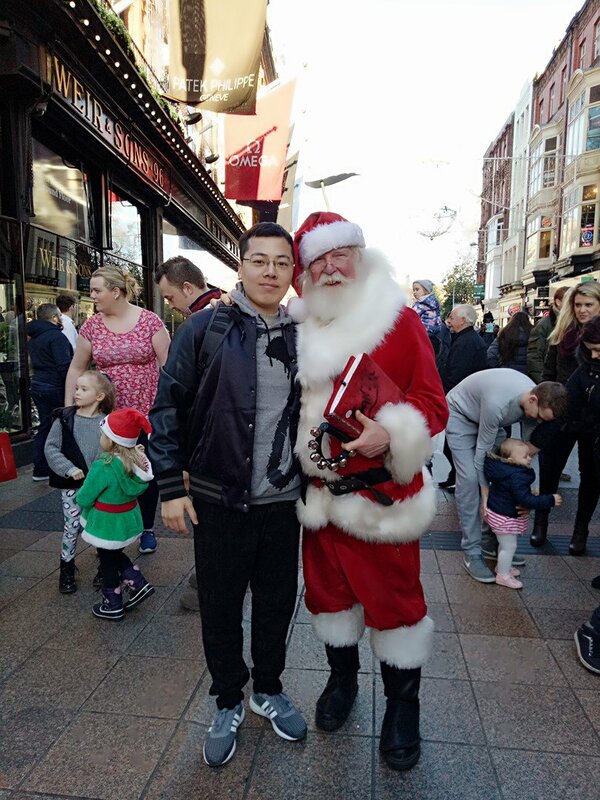 Yesterday I came to the Dublin to feel the Christmas atmosphere. In Ireland, Christmas lasts a long time, with stores selling cards and holiday decorations from October until January 6, when all Christmas decorations are removed. Unique customs make the Irish Christmas warm. I even met Santa Claus on the way. He was so cute that I couldn’t help but take a photo with him. On Grafton Street, there were many busking sessions such as an orchestra ensemble, acrobatics, the street dance, etc. 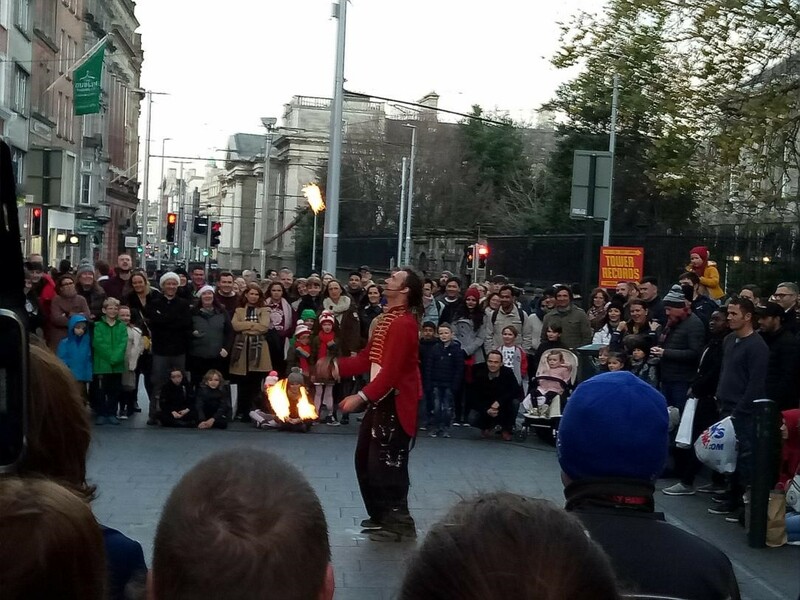 These performances make you appreciate every minute spent in Dublin during Christmas eve. This was a very interesting phenomenon, because in China the busking sessions are not so widespread on the main streets of big cities. However, the most important thing was to see the Christmas decorations. In the Jervis Shopping Centre, I saw the people coming and enjoying the Christmas decorations around it and suddenly saw a very special Santa Claus, he used a rope to climb down. It was very interesting. Of course, I also bought a cute hat to celebrate the Christmas season. It has two horns like a deer which local people used to decorate their cars. Many Christmas lights are up on the streets of Dublin. On Christmas Eve many families of Ireland will light candles in the window (or hang electric lamps), to welcome Jesus being born. They go home earlier on Christmas Eve to have reunions with family and friends. 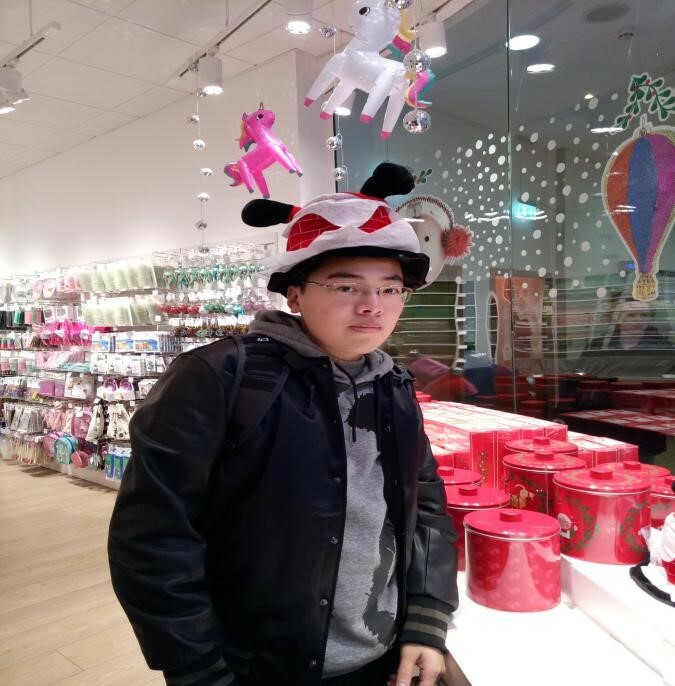 Overall, I feel the atmosphere of Christmas abroad which is very different from the time in China. If I have the chance, I will bring my family and friends to spend the Christmas in Ireland. That will be wonderful!